Happy Halloween from Treefrog Cinegraphix! With things spooking up around here, we’re going to start off our creative series with a look at costuming and cosplay. Each of us at TCX has had some hand in the craft. 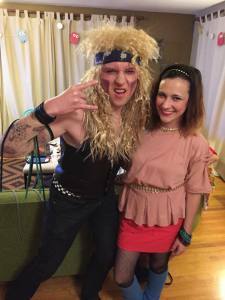 We’ve had quite a few memorable Halloween parties, and we even find occasions throughout the year to dress up. I think it’s that mystery that makes costuming so much fun on Halloween in particular. Christine, previously a business partner here at Treefrog, always hosts our Halloween parties. She takes her job as Halloween party planner very seriously. There’s a new theme every year, and she transforms her house with elaborate decorations and gorgeous custom printed invitations to match. I always look forward to seeing what she comes up with. So far themes have included a Victorian murder mystery, dressing as a famous character or celebrity who shares your name, and this year’s myth and legends event, which takes place tomorrow night. Stay tuned to our social networks to catch some photos of the (legendary) Treefrog team. For Christine, the Halloween party is a chance to be creative and share that creativity with others. Plus, everyone who attends gets to join in by coming up with a costume that matches the theme. Christian, who has been making movies (and the costumes that go with them) since the age of eight, has a lot of friends who throw themed parties all throughout the year. Whether this is intentional or a happy accident I’m not sure. Whatever the case, there’s usually at least one every year. 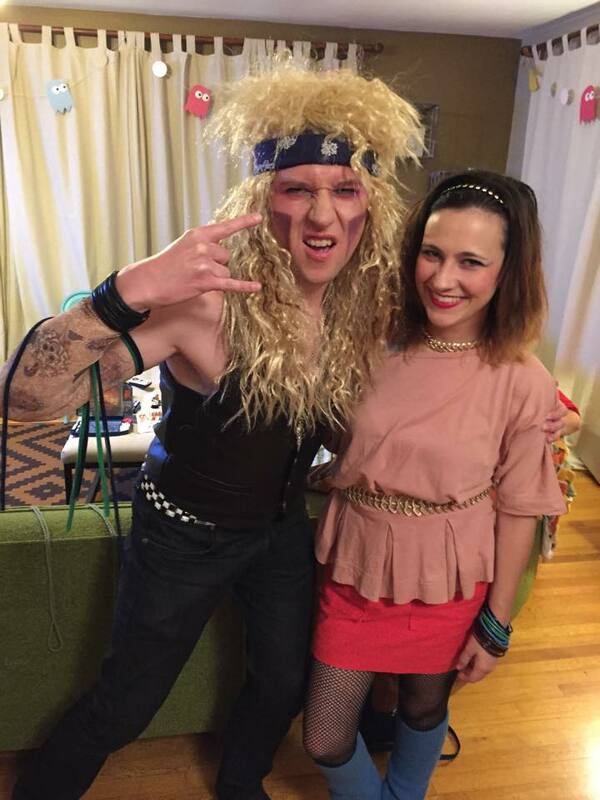 This year alone Christian’s dressed as Wolverine to an X-Men party, a hair metal rocker to an 80’s party, and he’ll be debuting Marc Antony at the myth and legends party tomorrow night. One of my personal favorites was the year before last, when everyone got together to throw Christian a font party for his birthday. Everyone came dressed as a different font, which resulted in some of the most hilarious and creative costumes. And guessing each person’s font was fun and challenging too. Best of all, Christian won Best Font Costume for his interpretation of Papyrus. Read our full writeup of Christian’s 30th Fontastic Party here. 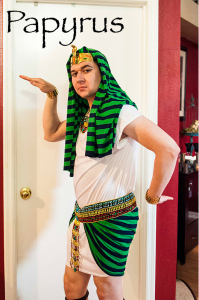 While the rest of the team tends to limit their costuming to the occasional (or not so occasional) themed party, I must confess that I take it to the next level. Costuming, and cosplay in particular, are a huge part of my life. 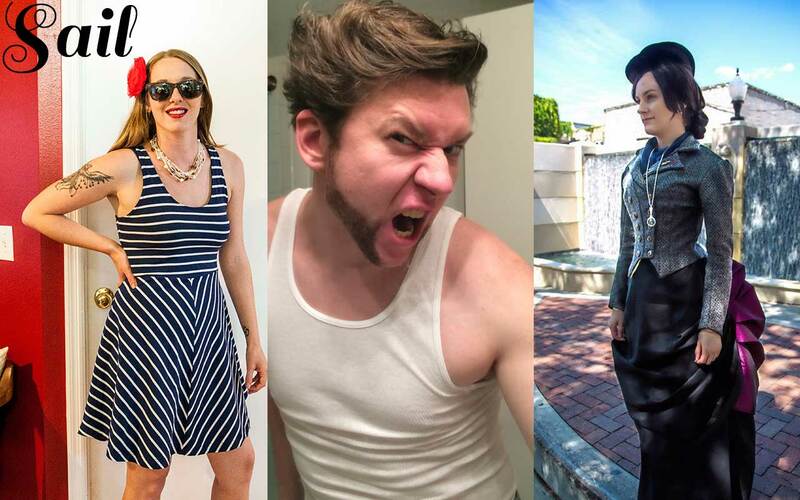 If you haven’t yet heard of it, cosplay is a steadily growing part of the geek community. The term is a portmanteau of “costume play,” and it’s an activity in which the participants (called cosplayers), dress up as characters from books, movies, TV shows, comics, and other forms of popular media. There’s also a performance element, as cosplayers will act like the characters they represent. It’s most frequently seen at fan conventions, which have group cosplay gatherings, photoshoots, cosplay competitions, and panels about the subject. It’s a wonderful community to be a part of. I love how creative and engaged people are when they come together to celebrate something they love. I’ve made so many amazing friends this way, both in person and online. Plus, I get to travel! Next year I’m already planning trips to Atlanta, Charleston, and Washington DC. There are many creative components to cosplaying, a lot of which translate to traditional costuming and themed parties as well. There’s choosing your character, which can be based on a theme, whether or not you’re in a specific group, or just based on whichever character you like and want to dress up as. There’s also the question of whether or not you’re replicating the character exactly or going with a creative interpretation of that character. Replicating a character exactly has a lot of its own challenges. You’ve really got to analyze what they’re wearing and break it down, determining what elements are most important and what can be changed to fit time/budget constraints. 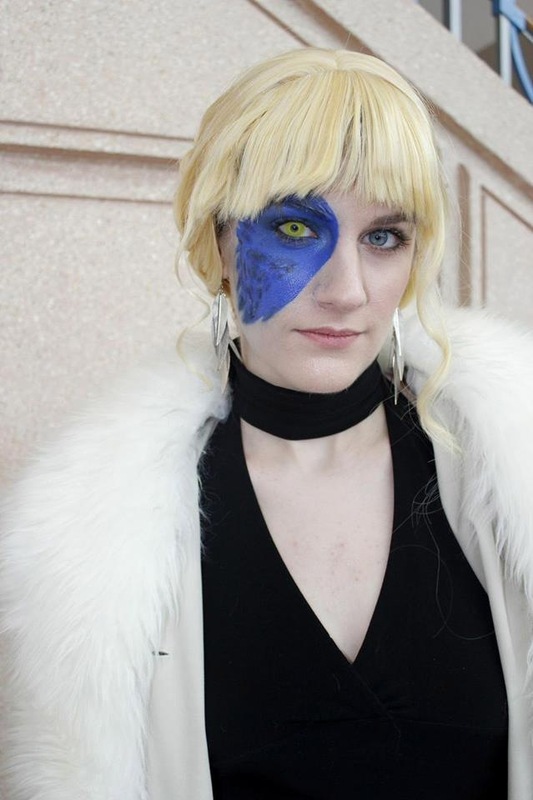 A few months ago I cosplayed Mystique from X-Men. Cosplaying her is particularly difficult because she’s most recognizable in her natural form – blue and scaly. And that’s a look that’s incredibly difficult to do well. I wanted something simpler, but still distinctly her. So, I decided to do something a little different: I would be Mystique mid-transformation. Not only was this look much more manageable, but I completely love how it turned out. It’s one of my most creative interpretations of a character and also one of the ones I’m most proud of. While I do enjoy the unique challenges in replicating a character, what I love most is taking a well-known character and changing some key element. This is a popular trope in the cosplay community. Examples include: changing the gender of a character, placing a character in a different historical time period, evil versions of good characters (or vice versa), combining characters (Disney Princesses as Marvel heroes, for instance), and so many more. The best part about these is the challenge inherent in keeping a character recognizable, yet still drastically changing their appearance. Not only is there a lot of creativity involved in the design of cosplays, it’s also a lot of work putting them together. I think my absolute favorite aspect of costuming is how I am constantly learning. 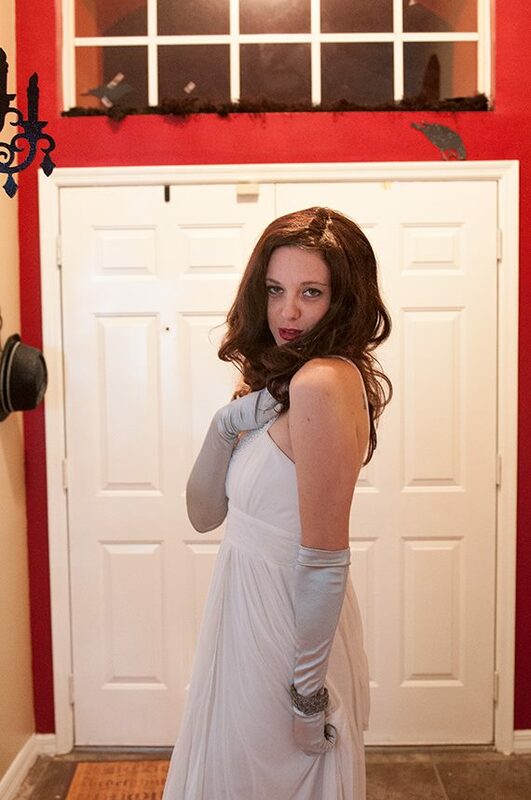 There is always a new technique to try, whether it’s to do with sewing, makeup, wig styling, prop making, etc. I make it a point to challenge myself with each new build. I’ve made more things with my hands in the past year and a half than I have since elementary school crafts. Once everything is said and done with the costume, the final component is acting like the character. It’s like what Rita mentioned earlier, it’s a chance to become someone else for a while. 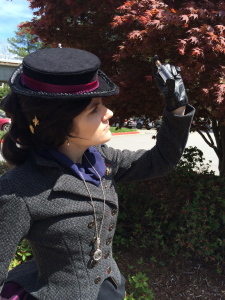 When cosplaying, I try to adopt the character’s mannerisms: the way the hold themselves, the way they walk, the way they interact with props and other objects. It’s surprisingly difficult, requiring constant awareness of your body and how it moves. Overall, costuming is unlike anything I’ve ever done before, and it tests my creativity every day. So, what’s a costume that’s inspired you? Posted by Susan on October 24, 2014, updated June 8, 2015. As digital professionals, we at Treefrog work in many creative capacities as designers, programmers, and marketers. We're always finding creative solutions to problems. It's our job. So what do we do to stay creative?